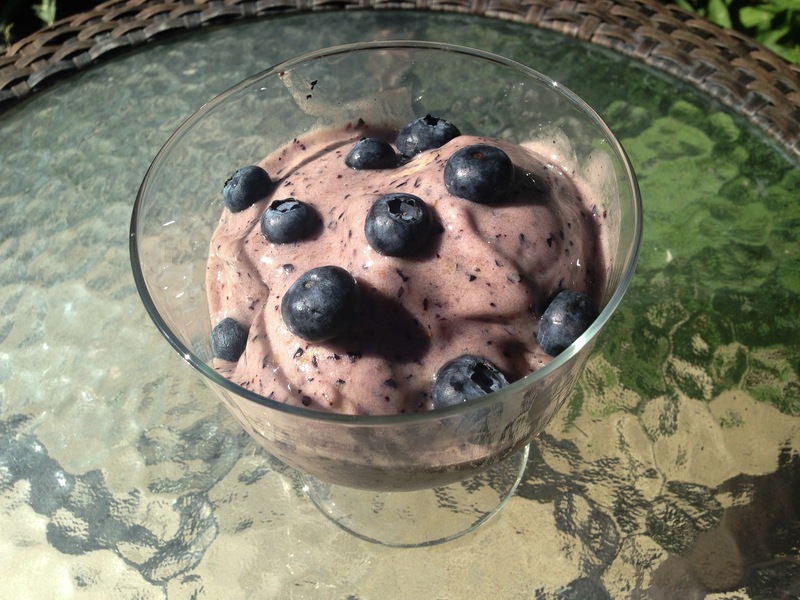 Blueberry Banana Ice-Cream! so good & good For you! oh blueberries!!! I love this little balls of joy! as usual, I had some frozen bananas ready and I wanted to make my nicecream for the day… so this was the”fruit” of my labor! haha! that was terrible…. please forgive me! ** Note: one-cup serving of Blueberries provides 24% of daily vitamin C, 5% vitamin of B6 and 36% of vitamin K needs. Blueberries also provide iron, calcium, potassium, magnesium, phosphorus, sodium, manganese, zinc, copper, folate, beta-carotene, folate, choline, vitamin A and vitamin E.
Put the bananas & blueberries into the blender and pulse for a bit so they break up! Pour or scoop your Blueberry Banana icecream in a serving dish and ENJOY! Next Top 5 July *Vegan Cuts* Beauty/Snack Box items!!! looks yummy, I have been dropping a few blueberries into my popsicles..
thats a great idea!! yum 🙂 thanks for reading! I know right? guilt-free and delicious 😉 thanks for reading!